If you’re looking to purchase or lease a new Toyota, then you’ve got to come check out the New Inventory at Nalley Toyota Union City. We’ve got all of the most popular Toyota trucks, cars, and SUVs in store. Our new Toyota models are manufactured to remain reliable so you can rest easy knowing you spent your money well. Come on down to Nalley Toyota Union City and check out our New Inventory for yourself because once you get behind the wheel of one of these new Toyota models, you will absolutely want to take it home. We carry all of the latest Toyota models in our inventory, including popular models like the new Camry, Corolla, Tundra, Tacoma, Highlander, RAV4, Prius, and more! In order to keep your new Toyota in pristine condition we offer a no cost maintenance plan with the purchase or lease of every new Toyota. This plan is called ToyotaCare, and it lasts for the first two years or 25,000 miles, whichever comes first. We also include 24-hour roadside assistance, regardless of your mileage. This maintenance plan includes: inspection and adjustment of all fluid levels, replacement of engine oil and oil filter, rotation of tires, and multi-point vehicle inspection. Providing this service is just one of the many ways we take care of our customers. 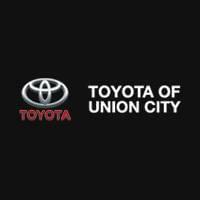 Our team here at Nalley Toyota Union City encourages you to come visit us at 4115 Jonesboro Road in Union City, Georgia to check out our incredible New Inventory. Finding a Toyota car, truck or SUV that helps you go places is what we were trained to do. We look forward to serving you!